There are many telltale signs of fall in Chapel Hill. A bite of cold in the air. A hint of red in the leaves on the quad. Students excitedly lining up for road races each Saturday. But for many, the signs of fall are just a precursor to a much more important time of year: basketball season. Unlike fall, this season starts off with an undeniable arrival – Late Night with Roy. 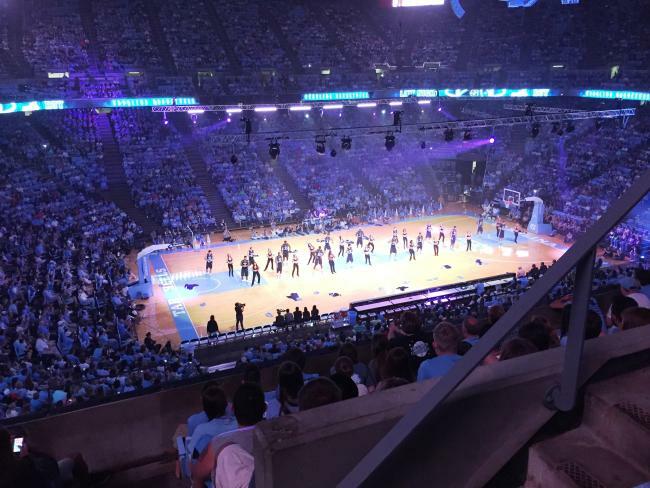 This free event takes place at 7:30 p.m. on Friday, Oct. 12 at the Dean E. Smith Center. Fans, students, alumni and members of the community gather for the official tip-off of the basketball season and the first chance to see Roy’s boys in action. And it truly is a gathering of community – the event is open to the public and tickets are not required. 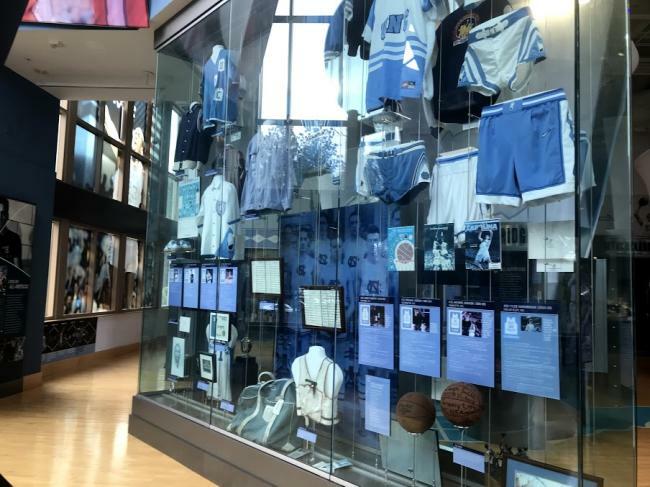 But before you lay out your finest Carolina blue and head over to this event, let’s explore how it got started. 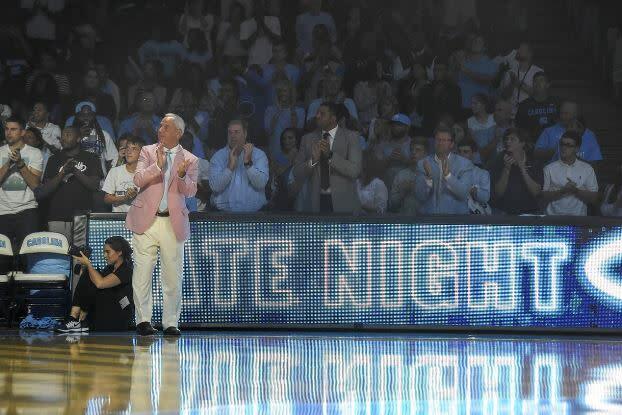 The first Late Night with Roy kicked off in 2003 along with the arrival of now beloved coach Roy Williams. Since then, the event has included many special moments, including more recently the dropping of the 2017 National Championship Banner. A key participant along the way, the face of Late Night with Roy you could even say, was UNC alumnus and ESPN anchor Stuart Scott. Scott hosted Late Night with Roy for more than a decade and was known for amping up the crowd with his cool turns of phrase like “booyah!” Those who attended this special night will remember how he always made us feel proud to be Tar Heels. Scott passed away in 2015, but his Late Night with Roy legacy lives on. This year, the night will be hosted by Antawn Jamison (’99), a 1998 National College Athletic Association National Player of the Year and two-time NBA All-Star. So, what should you expect if you attend? First – a lot of fun! Players and coaches will sing, dance and even perform in skits. And you thought basketball was their only talent! 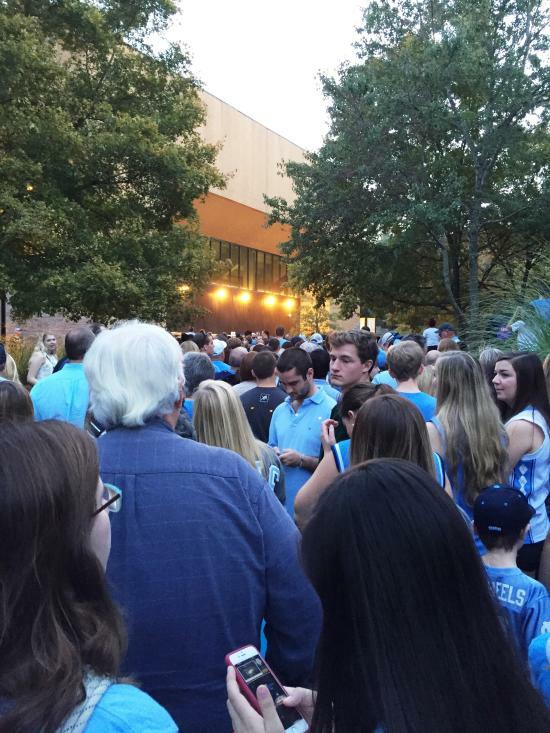 But of course, it wouldn’t be a night in Chapel Hill without some great basketball. The night will wrap up with an intra-squad scrimmage played by the entire roster. This will be the first chance for attendees to see the highly-anticipated freshmen including Nassir Little, Coby White, and Rechon Black. We can’t wait to see you there! Click here for more information.